Although miscarriage is a taboo subject, it happens more often than you'd like to think. It happens to young, old, first pregnancies and 10th pregnancies. It doesn't have a preference. 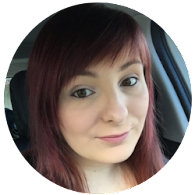 I knew that it happened in many different ways and timescales however I never even thought about it happening in a twin pregnancy. When we found out we were expecting in October 2015, it came as a bit of a shock! I had only had a baby in July! Emotions were all over the place, however at the time, none of them excitement. I went to the hospital for a scan on my bladder for another reason to then be told by the ultrasound technician that there were 2 babies growing inside of me. Both had visible heartbeats and were around 7 weeks gestation. This set me back even further! I had a 3 month old and I was pregnant with twins! What was I going to do? I felt completely alone. In shock. They booked me in for another ultrasound at approximately 11 weeks. In the meantime, I was searching triple buggies, reading about Irish twins and Irish triplets, doing my research into how I would survive. I was actually getting excited. This is when we found out that one of the babies had stopped growing at 9 week and no longer had a heartbeat. I was grieving the loss of a pregnancy while still being pregnant. As I assume many people would feel, I was shocked! I didn't realise you could miscarriage one of a set of twins. I thought it was all or nothing. I was told by the hospital that "Vanishing Twin Syndrome" was quite common and happened to around 20-30% of all multiple pregnancies. They told me it was the reason they didn't scan women until 12 weeks. Most of the time it's not found out which means the mother has no need to grieve. There's not many places you can talk openly and people understand what you're talking about when you've been through a similar situation. Everyone seems to say "well I've had a miscarriage so I completely understand" but that's not true. Yes, it is a miscarriage but you're still carrying one baby. You're feeling guilty every day that you couldn't carry both. You feel guilty that you're only having one. You are happy that you're still pregnant. It's a rollercoaster of emotions and unless you've been through it, I don't believe you'd understand it completely. 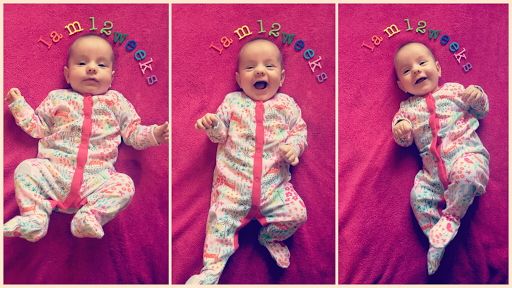 I now have a very happy, very healthy 12 week old baby girl. I will always feel upset though when I think about my pregnancy. No longer because of guilt for losing a twin but the guilt of regretting the pregnancy and feeling unworthy.